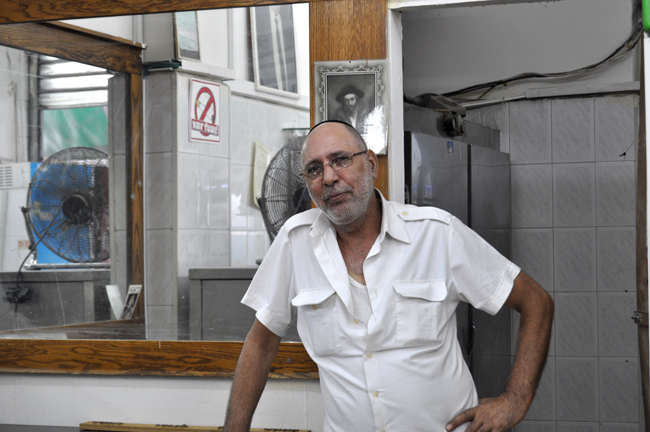 Menachem's grandfather came to Israel in 1928; he supported himself as a janitor at the Alliance high school, but he also worked in the market selling cold drinks. Menachem's father Ezra (Azoura) was born in 1929, and followed his father into business at the shuk selling juices such as lemonade, apricot juice, tamarind juice, as well as fresh fruit. Ezra purchased the family stand in 1963. Today, Menachem still offers the exact same things his father and grandfather used to sell: tamarind, mint, apricot, lemons, and more. There is a secret family recipe for every juice! Among other things, they also sell burekas and hot drinks. Although Menachem hopes that his own son will not follow him into the family business, he maintains that the family secrets will remain in the family. Life, and the richest experience the world has to offer.